Created by Parkway School District. Lisa Rowe Fraustino's dramatic tale of the Salem witch trials is back in print with a beautiful new cover design! Deliverance Trembley lives in Salem Village where she must take care of her sickly sister, Mem, and where she does her daily chores in fear of her cruel uncle's angry temper. But after four young girls from the village accuse some of the local women of being witches, the town becomes increasingly caught up in a witch hunt. When the villagers begin to realize that Deliverance is a clever girl who possesses the skills to read and write, the whispered accusations begin. Suddenly she has more to worry about than just the wrath of her uncle, her ill sister, and the fate of the other women in town. 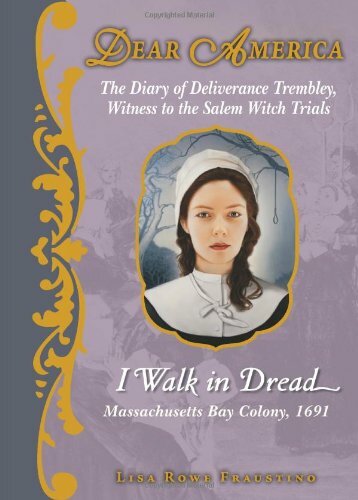 Within the pages of her diary, Deliverance captures the panic, terror, suspicion, and hysteria that swept through Salem Village during one of the most infamous eras in American history. Newbery Award-winning author Susan Patron brings her talents to the beloved Dear America series in this exciting story of a girl growing up in the Wild West, in a California gold mining town. 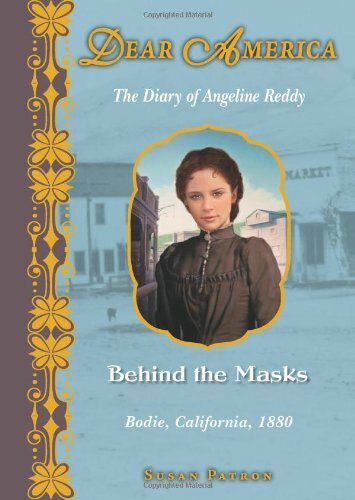 Growing up in the wild gold-mining town of Bodie, California, in the 1880s, Angeline Reddy has seen it all -- saloons, brawls, and a whole lot of desperation. When her father, Bodie's greatest lawyer, is declared murdered, Angie knows deep in her heart that he isn't dead and decides it is up to her to solve the mystery of what happened to him. But when her mother takes ill and a mysterious ghost appears, putting together the puzzle pieces seems impossible. Not to mention, a gang of vigilantes, the 601, is raging out of control, running folks out of town, and nobody seems safe. Will Angie, with the help of her friends Ellie and Ling Loi, and the mysterious and tragically handsome Antoine, be able to uncover the secret of her father's disappearance? Two-time Newbery Award-winning author Lois Lowry brings a brand-new, beautiful diary to the Dear America series! 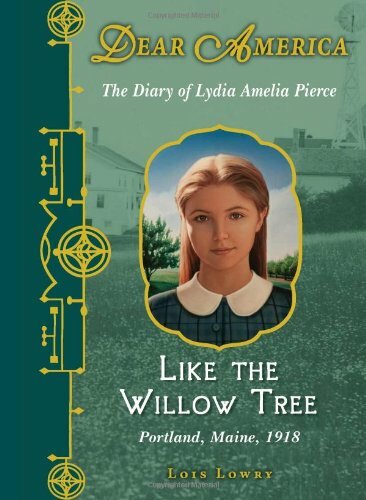 Suddenly orphaned by the Spanish flu epidemic in the fall of 1918, eleven-year-old Lydia Pierce and her fourteen-year-old brother, Daniel, of Portland, Maine, are taken by their uncle to be raised in the Shaker community at Sabbathday Lake. Thrust into the Shakers' unfamiliar way of life, Lydia must grapple with a new world that is nothing like the one she used to know. Now separated from her beloved brother, for men and women do not mix in this community, Lydia must adjust to many changes. But in time, and with her courageous spirit, she learns to find the joy in life again. 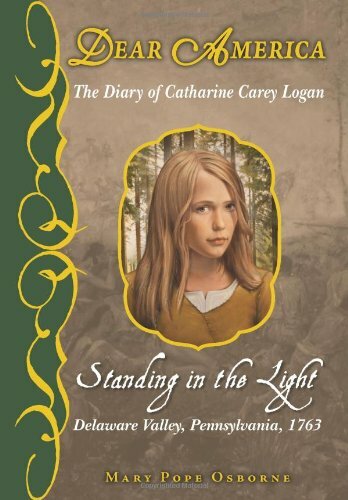 One of the most popular Dear America diaries of all time, bestselling author Mary Pope Osborne's STANDING IN THE LIGHT is now back in print with a gorgeous new cover! Catharine Carey Logan and her family have enjoyed a peaceful and prosperous life as the Quakers and Delaware Indians share a mutually trusting relationship. Recently, however, this friendship has been threatened by violence against the Indians. Then, Catharine and her brother are taken captive by the Lenape in retaliation. At first, Catharine is afraid of her captors. But when a handsome brave begins to teach her about the ways of the Lenape, she comes to see that all people share the same joys, hopes, and fears. Osborne crafts a thrilling story of romance and danger and remarkable courage. 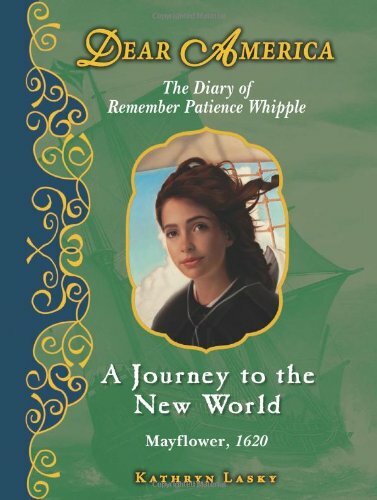 Newbery Honor author Kathryn Lasky's A JOURNEY TO THE NEW WORLD is now back in print with a gorgeous new package! Twelve-year-old Remember Patience Whipple ("Mem" for short) has just arrived in the New World with her parents after a grueling 65-day journey on the MAYFLOWER. Mem has an irrepressible spirit, and leaps headfirst into life in her new home. Despite harsh conditions, Mem is fearless. She helps to care for the sick and wants more than anything to meet and befriend a Native American. Critically acclaimed author Kristiana Gregory's award-winning THE WINTER OF RED SNOW is now back in print with a gorgeous new package! 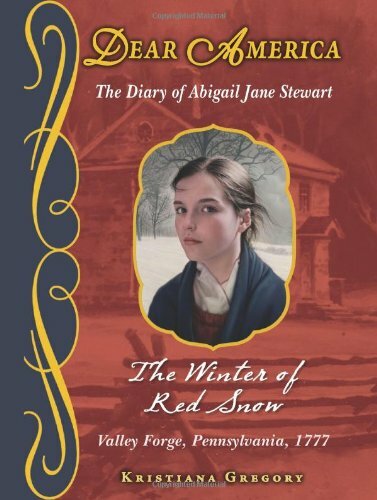 Eleven-year-old Abigail Jane Stewart's fictionalized diary about her life, family, friends, and neighbors, and the sides they have to choose in Valley Forge, Pennsylvania, during the height of the Revolutionary War, renders a vivid portrayal of one of the most memorable and crucial winters in American history. Abby's life with her family is quickly upended when they are awakened by the unfamiliar sound of drums. General George Washington is leading the Continental soldiers into their winter encampment at Valley Forge, PA.
Kristiana Gregory returns with a stunning new sequel to the bestselling Dear America title THE WINTER OF RED SNOW! Abigail Jane Stewart returns in this brand-new sequel to THE WINTER OF RED SNOW. The Revolutionary War toils on, but the Stewart family can no longer avoid getting involved. 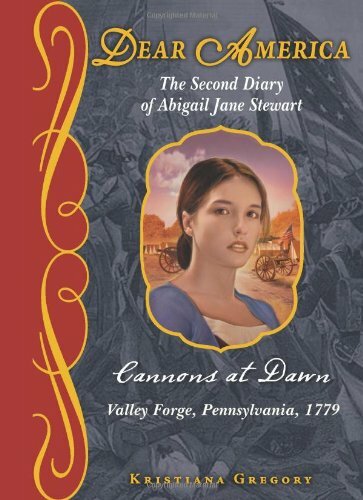 Abby's father joins the Continental Army, while Abby, her mother, and her siblings become camp followers. They face daily hardships alongside the troops and continue to spend time helping the Washingtons. Filled with romance and adventure, Abby's frontline view of the war captures the heartache and bravery of the soldiers, as well as the steep cost of freedom. One of the most popular Dear America diaries of all time, Ellen Emerson White's bestselling VOYAGE ON THE GREAT TITANIC is now back in print with a gorgeous new package! 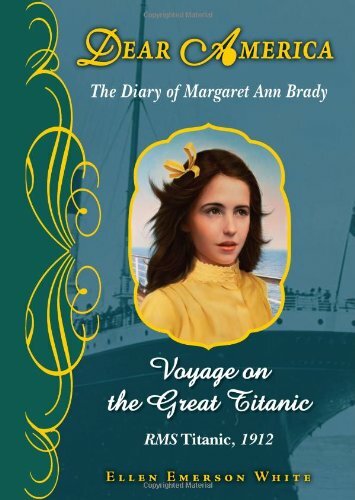 Five years ago, Margaret Ann Brady's older brother left her in the care of an orphanage and immigrated to America. When the orphanage receives an unusual request from an American woman looking for a traveling companion, Margaret's teachers agree that she is the perfect candidate to accompany Mrs. Carstairs on the TITANIC, so that once Margaret arrives in New York she will be free to join her brother in Boston. But the TITANIC is destined for tragedy, and Margaret's journey is thrown into a frozen nightmare when the ship collides with an iceberg. 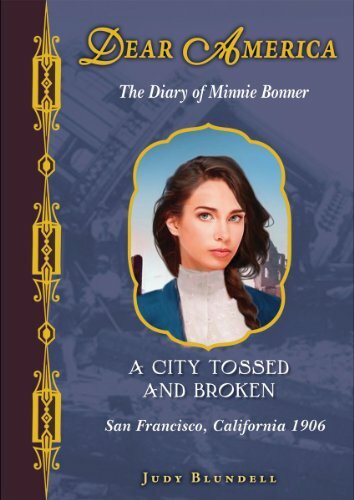 From National Book Award-winning author Judy Blundell, a thrilling account of the San Francisco Earthquake of 1906. When Minnie Bonner's father disappears after losing the Bonners' Philadelphia tavern, the wealthy gentleman Edward Sump, led by his avaricious wife, offers Minnie a chance to work as a lady's maid to support her family. The Sumps have grand plans, grander than the city of Philadelphia can offer, however, and decide to move to San Francisco -- the greatest city in the west. But when a powerful earthquake strikes, Minnie finds herself the sole survivor among them. After the dust settles, Minnie discovers a bag belonging to the Sumps filled with cash and papers that could drastically change her fortune. With no one else to claim it, Minnie has turned into an heiress overnight. Wealth comes at a price, though, and she is soon wrapped up in a deception that leads her down a dangerous path. As the aftermath of the earthquake ravages the city, Minnie continues to maintain her new identity. That is, until a mysterious but familiar stranger appears. Newbery Honor author Susan Campbell Bartoletti brings the story of a young girl caught up in a web of murder, lies, and the Great Fire of Chicago to bold life. 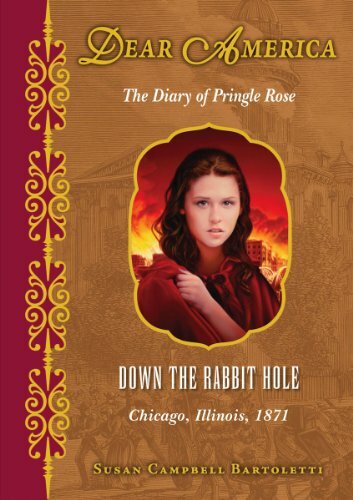 In the spring of 1871, fourteen-year-old Pringle Rose learns that her parents have been killed in a terrible carriage accident. After her uncle Edward and his awful wife, Adeline, move into the Pringle family's home -- making life for her and her younger brother, Gideon, unbearable -- Pringle runs away with Gideon to Chicago, seeking refuge from the tragedy, and hoping to start a new life. She becomes a nanny for the children of a labor activist, and quickly finds herself caught up in a web of intrigue and lies. Then, when a familiar figure from home arrives, Pringle begins to piece together the devastating mystery of what happened to her parents, and realizes just how deadly the truth might be. But soon, one of the greatest disasters this country has ever known -- the Great Fire of Chicago -- flares up, and Pringle is on the run for her life. An acclaimed anthology receives a new design and cover! 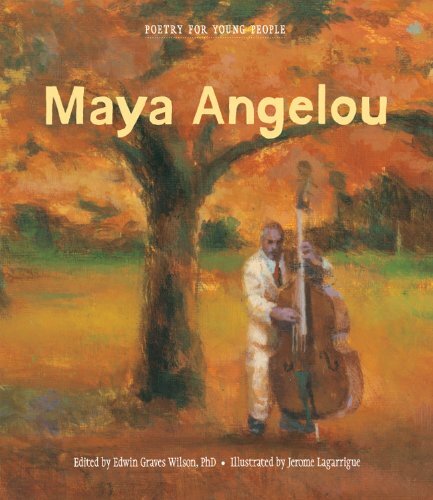 Award-winning writer, historian, and civil rights activist Dr. Maya Angelou is a true American icon. 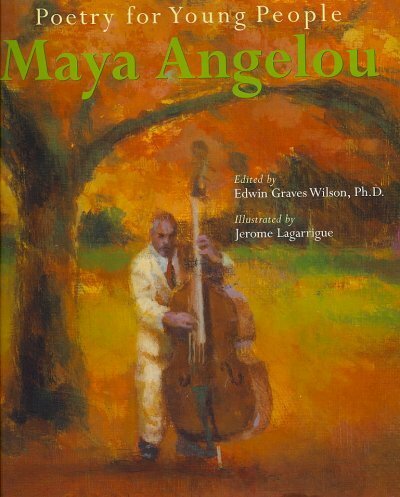 Twenty-five of her finest poems capture a range of emotions and experiences, from the playful “Harlem Hopscotch” to the prideful “Me and My Work” to the soul-stirring “Still I Rise.” Award-winning artist Jerome Lagarrigue masterfully illustrates each verse, and renowned academic Dr. Edwin Graves Wilson, a longtime colleague of Dr. Angelou, has written the book's introduction, introductions to the poems, and annotations. Teaching children how to spend and save their money wisely is difficult when advertising, peer pressure and ever-changing trends constantly bombard young people. Now boys and girls can join the Money Cent$ gang -- three kids with very different money "personalities" -- as they get the inside scoop on money and discover their financial potential. Features quizzes, checklists, puzzles and more. "Are you a gifted child looking for special opportunities?" 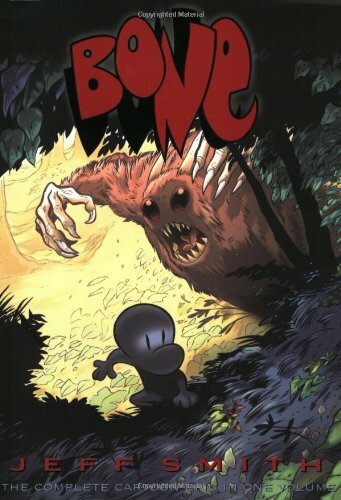 After being run out of Boneville, the three Bone cousins, Fone Bone, Phoney Bone and Smiley Bone are separated and lost in a vast uncharted desert. One by one they find their way into a deep forested valley filled with wonderful and terrifying creatures. It will be the longest - but funniest - year of their lives. Mary Alice's childhood summers in Grandma Dowdel's sleepy Illinois town were packed with enough drama to fill the double bill of any picture show. But now she is fifteen, and faces a whole long year with Grandma, a woman well known for shaking up her neighbors-and everyone else! All Mary Alice can know for certain is this: when trying to predict how life with Grandma might turn out . . . better not. 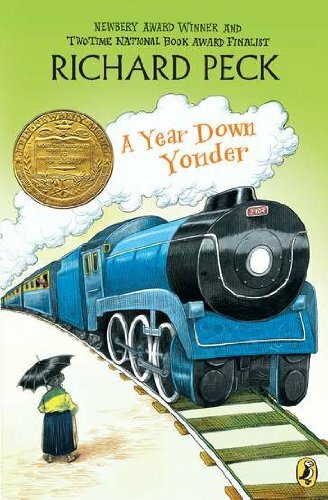 This wry, delightful sequel to the Newbery Honor Book A Long Way from Chicago has already taken its place among the classics of children's literature. 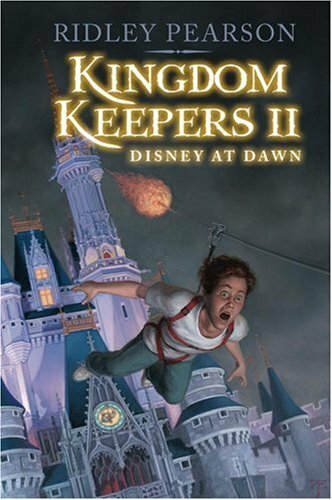 With the adventures set forth in the first books now behind them, Kingdom Keepers 3: Disney In Shadow follows the five teens, Finn, Philby, Willa, Charlene, and Maybeck as they search to find Wayne, their mentor and head Imagineer who has mysteriously gone missing. Concerned Wayne has been abducted by the Overtakers-Disney villains, who along with other Disney characters, take over the parks when the turnstiles stop spinning, and want desperately to steer the parks to a far darker place-the five kids pick up a major clue from a close friend, Jess, whose dreams (nightmares, really) often accurately predict the future. The very few clues from Jess's dream lead the kids into Disney's Hollywood Studios and Epcot--through imaginary worlds that become real, by imaginary kids who are real. Each clue seems tied to the last, and with the stakes growing ever higher, what starts out as a puzzle ends up as a fight for their lives. 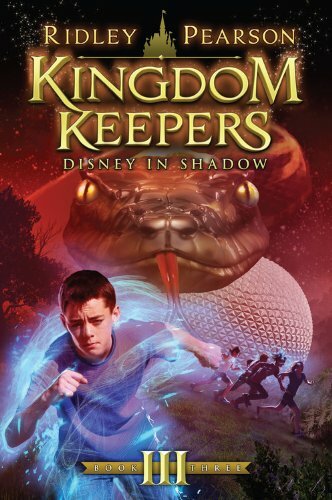 Through a transparent paper box, a quest for a sword, rides on Soarin' and Maelstrom, life-and-death encounters with giant snakes, and a devious Maleficent, the Kingdom Keepers not only begin to decipher deeper meanings to the clues, but discover new truths about themselves and their ever-growing friendships. It's supposed to be a happy day at the Magic Kingdom-the return of the teenaged holographic hosts. But things go very wrong when a sudden lightning storm disrupts the celebration, and Amanda's mysterious sister, Jez, disappears. The only clue is the sighting of a wild monkey in the Magic Kingdom during the storm. The mystery deepens as Finn is contacted by Wayne, an old man he hasn't heard from in months. Wayne tells Finn that there's trouble at the Animal Kingdom: the evil Overtakers have gained control of one of the computer servers that will be used to operate Daylight Holographic Imaging there. That means that if any of the holographic hosts fall asleep, they will go into comas-permanently. Filled with action and brimming with the same meticulous detail as The Kingdom Keepers: Disney After Dark, this second book in the series-The Rise of Chernabog-is the result of hands-on research behind the scenes at Disney's Animal Kingdom Park. Young and older readers alike will get a glimpse into a second Disney kingdom. The wild rides have only just begun; and the clock is ticking. How long can the teens keep themselves awake in their quest to find their friend-and what happens if they fail? 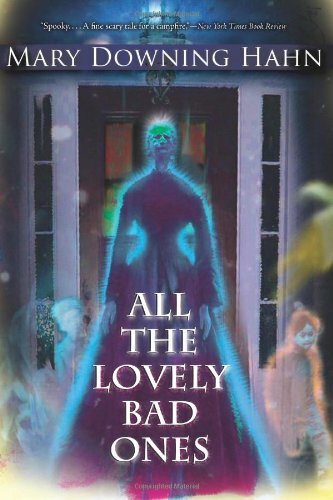 In this fantastical thriller, five young teens tapped as models for theme park "guides" find themselves pitted against Disney villains and witches that threaten both the future of Walt Disney World and the stability of the world outside its walls. Using a cutting-edge technology called DHI--which stands for both Disney Host Interactive and Daylight Hologram Imaging--Finn Whitman, an Orlando teen, and four other kids are transformed into hologram projections that guide guests through the park. The new technology turns out, however, to have unexpected effects that are both thrilling and scary. Soon Finn finds himself transported in his DHI form into the Magic Kingdom at night. Is it real? Is he dreaming? Finn's confusion only increases when he encounters Wayne, an elderly Imagineer who tells him that the park is in grave danger. Led by the scheming witch, Maleficent, a mysterious group of characters called the Overtakers is plotting to destroy Disney's beloved realm, and maybe more. 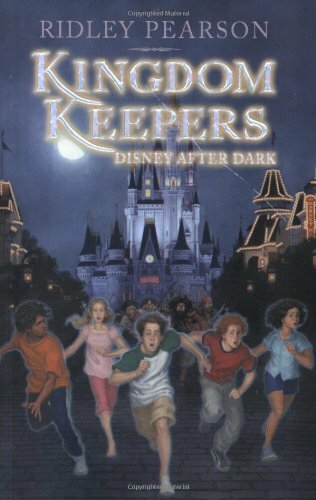 This gripping high-tech tale will thrill every kid who has ever dreamed of sneaking into Walt Disney World after hours and wondered what happens at night, when the park is closed. 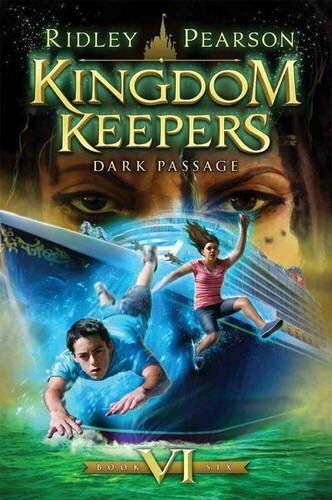 Aboard the Disney Cruise Line's inaugural passage through the new Panama Canal, the Keepers and their holograms uncover a puzzle hidden within the pages of a stolen journal. The point of that puzzle will reveal itself in the caves of Aruba, the zip lines of Costa Rica, and the jungles of Mexico. A destructive force, dormant for decades, is about to be unleashed. The five Kingdom Keepers are to be its first victims. 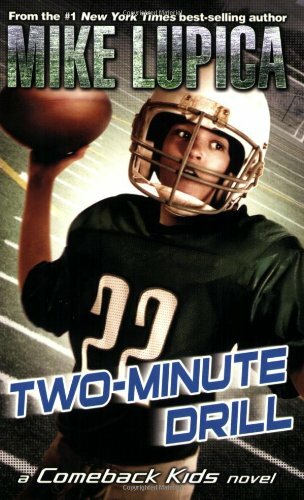 Since it was first published in 1987, the story of thirteen-year-old Brian Robeson's survival following a plane crash has become a modern classic. Stranded in the desolate wilderness, Brian uses his instincts and his hatchet to stay alive for fifty-four harrowing days. 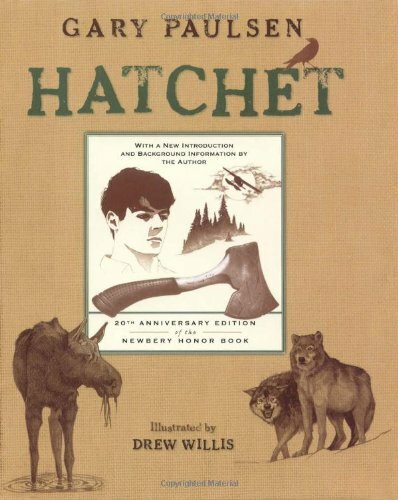 This twentieth-anniversary edition of Hatchet contains a new introduction and sidebar commentary by Gary Paulsen, written especially for this volume. Drew Willis's detailed pen-and-ink illustrations complement the descriptions in the text and add a new dimension to the book. 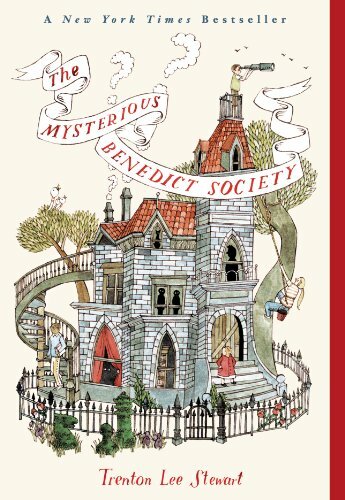 This handsome edition of the Newbery Honor book will be treasured by Hatchet fans as well as by readers encountering Brian's unforgettable story for the first time. Sitting tall in the saddle, with a wide-brimmed black hat and twin Colt pistols on his belt, Bass Reeves seemed bigger than life. As a U.S. Marshal - and former slave who escaped to freedom in the Indian Territories - Bass was cunning and fearless. 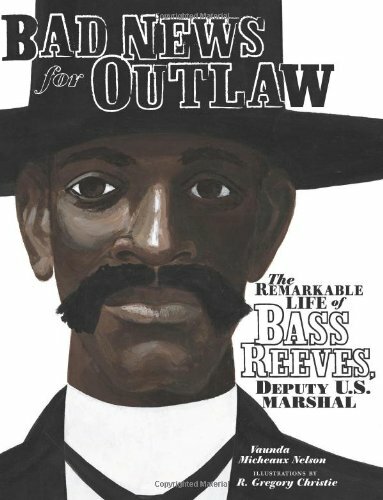 When a lawbreaker heard Bass Reeves had his warrant, he knew it was the end of the trail, because Bass always got his man, dead or alive. He achieved all this in spite of whites who didn't like the notion of a black lawman. For three decades, Bass was the most feared and respected lawman in the territories. He made more than 3,000 arrests, and though he was a crach shot and a quick draw, he only killed fourteen men in the line of duty. Bad News for Outlaws reveals the story of a remarkable African American hero of the Old West. 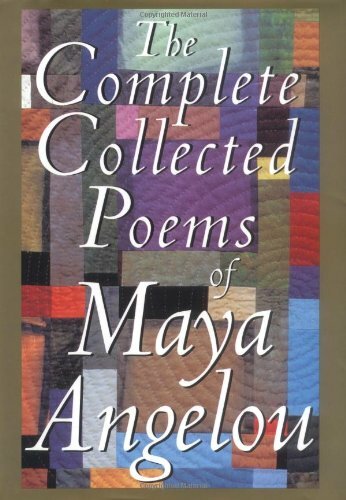 For the first time, the complete collection of Maya Angelou's published poems-including "On the Pulse of Morning"-in a permanent collectible, handsome hardcover edition. From #1 New York Times bestseller Mike Lupica! Chris Conlan is the coolest kid in sixth grade?the golden-armed quarterback of the football team and the boy all the others look up to. Scott Parry is the new kid, the boy with the huge brain, but with feet that trip over themselves. These two boys may seem like an odd couple, but each has a secret that draws them together, and proves that the will to succeed is even more important than raw talent. 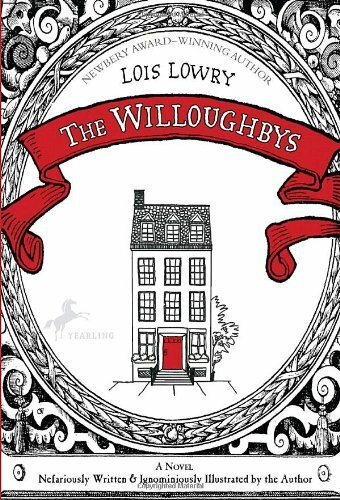 The Willoughby's—Timothy; his twin brothers, Barnaby A and Barnaby B; and their little sister, Jane—are old-fashioned children who adore old-fashioned adventures. Unfortunately, the Willoughby parents are not very fond of their children, and the truth is that the siblings are not too keen on their parents either. Little do the Willoughby kids know that their neglectful mother and father are hatching an evil plan to get rid of them! Not to worry—these resourceful adventurers have a few plans of their own. But they have no idea what lies ahead in their quest to rid themselves of their ghastly parents and live happily ever after. 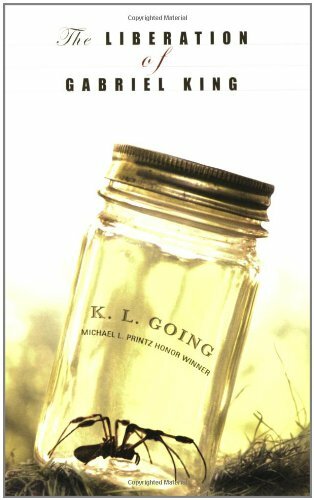 An unusual and captivating novel brimming with a sense of can-do and earned independence. 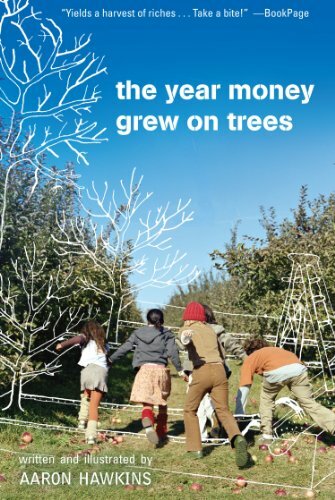 With frostbitten fingers, sleepless nights, and sore muscles, fourteen-year-old Jackson Jones and his posse of cousins discover the lost art of winging it when they take over an orchard of three hundred wild apple trees. They know nothing about pruning or irrigation or pest control, but if they are to avoid losing the $8,000 they owe on an unfair contract with their neighbor, Mrs. Nelson, they just have to figure it out. Travis and his sister, Corey, can't resist a good trick. When they learn that their grandmother's quiet Vermont inn, where they're spending the summer, has a history of ghost sightings, they decide to do a little "haunting" of their own. Before long, their supernatural pranks have tourists flocking to the inn, and business booms. But Travis and Corey soon find out that they aren't the only ghosts at Fox Hill Inn. Their thoughtless games have awakened something dangerous, something that should have stayed asleep. Can these siblings lay to rest the ghosts they've stirred? Gabriel King was a born chicken. He's afraid of spiders, corpses, loose cows, and just about everything related to the fifth grade. Gabe's best friend, Frita Wilson, thinks Gabe needs some liberating from his fears. Frita knows something about being brave— she's the only black kid in school in a town with an active Ku Klux Klan. Together Gabe and Frita are going to spend the summer of 1976 facing down the fears on Gabe's list. But it turns out that Frita has her own list, and while she's helping Gabe confront his fears, she's avoiding the thing that scares her the most. Elizabeth is drawn into a dramatic story from the American Revolution when she discovers a portrait of her ancestor, a girl called Zee, who has a striking resemblance to Elizabeth. The girls' lives intertwine and Elizabeth's present-day story alternates with Zee's. As Elizabeth learns about Zee, and walks where Zee once walked and battles raged, the past becomes as vivid and real as the present.